As an audience, we like originality and creativity, but what we love is a classic return to the well. “Clash of the Titans” may not be the typical sequel, reboot or rehash, but it is a familiar story just on its most recent stint. Louis Leterrier, fresh off of 2008’s “The Incredible Hulk,” is at the helm and he’s brought some strong casting choices with him. Liam Neeson will be playing Zeus, which for some reason doesn’t surprise me at all. The guy’s been featured in the “Star Wars,” “Batman” and “Chronicles of Narnia” franchises, so this shouldn’t add any new pressure to one of the most notable faces on screen. 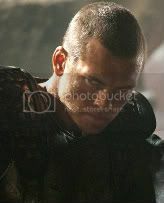 Sam Worthington, of the recent hit “Avatar,” will play our hero, Perseus, the mortal son of Zeus. Other notable casting choices include Danny Huston (of “Edge of Darkness”), Gemma Arterton (of “Quantum of Solace”) and Ralph Fiennes (of “The Reader”) as Hades. “Clash of the Titans” is set to be released on April 2. I do not like to swear but Sh*t, I can’t f*ck-ing wait!!! The classic is and always will be one of the greatest action/fantasy movie ever made. I was just around 8 or 9 years-old when I first watched it and I still remember all the details to this day! !